I like Apple’s new approach on the design for the new MacPro. It is completely in line with their trend towards less bulk. First off, I watched the keynote several times and heard Phil Schiller say that the MacPro will have 6 Firewire ports feed by 3 controllers. Yes, I know that you cannot see them in any photos, but he did say it. Personally, USB3 is fine for me, as it’s faster than FW800 anyway. I did hear Phil say that displays will be a third party opportunity, so I wonder if Apple is done with the stand alone Cinema display. It was good to see Thunderbolt 2 spec’ed on the motherboard. This will allow for faster interconnectivity with expansion and peripherals. The inclusion of 6 Thunderbolt ports will help with devices that do not offer a loop through. With this new PCI flash memory for the OS to run on, I know this machine will be snappy. Most importantly for me, Phil said the FCPX team was hard at work making a version of FCPX optimized for this hardware. The biggest hurdle will be the price, which was not announced. 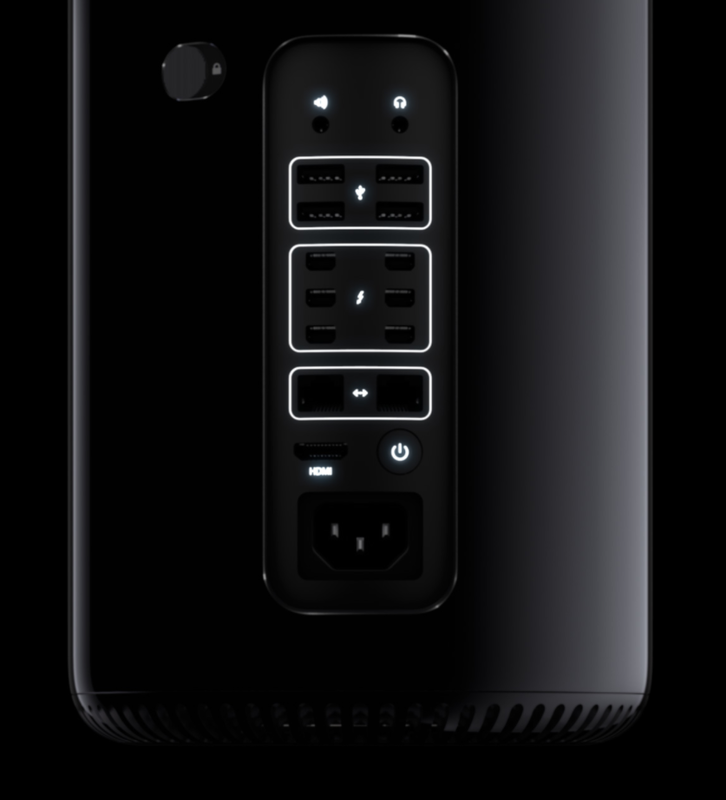 I hope the MacPro is priced like other Apple products that have been slimmed down (like the OS) and offered for a price reasonable for the working pro. I would be happy somewhere between $2500-$3500, and would pass if the price went above $4K unless there are other gains yet to be realized.